“We’re all with you,” says a poster of Saad al-Hariri on the streets of Beirut. 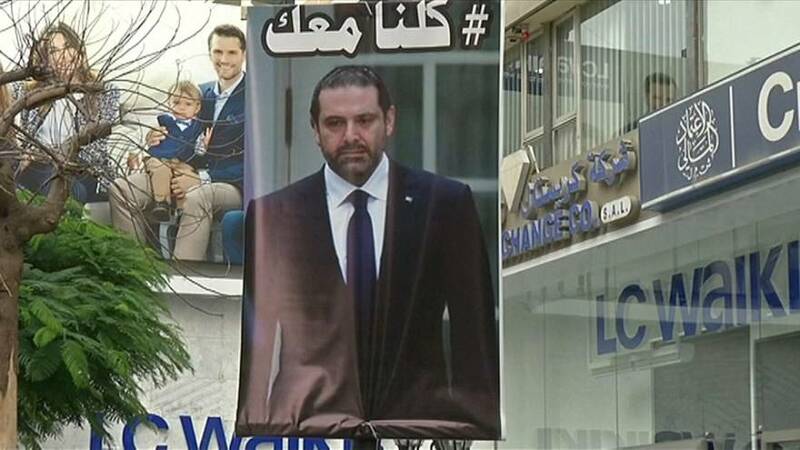 People in Lebanon have been expressing their support for the recently-resigned prime minister, who has confirmed he will soon return to Beirut, dismissing rumours he is being held against his will in Saudi Arabia. Hariri sent shockwaves through Lebanon and the region, announcing his resignation from Riyadh on November the 4th. France is one of the countries voicing concern about the prospect of a political crisis in Lebanon. Experts are also worried the latest developments push Lebanon back into the forefront of a contest for influence between Iran and Saudi Arabia.